MOSCOW, September 24. /TASS/. Russia supplying Syria with the S-300 missile complex is a measure to protect Russian troops and is not directed against third countries, Russian Presidential Spokesman Dmitry Peskov told journalists in reply to the question about whether Russia supplying S-300 missiles to Syria can damage Russian-Israeli relations. "It should be obvious to everyone that Russia’s actions aimed at ensuring security for its troops are necessary. This is why in this case, Russia is guided solely by these interests, these actions are not directed against third countries, they are meant to protect our own troops," the Kremlin spokesman said. Peskov noted that "the situation concerning the safety of our troops, our pilots, which arose after this tragedy (Il-20 plane crash over the Mediterranean Sea - TASS), dictates the necessity to implement extra measures - effective and energetic measures." "This issue has been actively discussed in Moscow over the past week, and military experts and the country’s government made such a decision," the spokesman added. 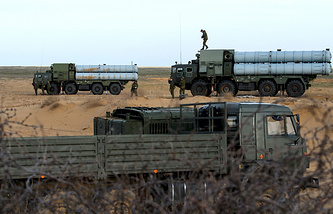 The decision to deliver S-300 missiles to Syria was taken to protect the Russian military more securely after the downing of an Ilyushin Il-20 aircraft in Syria, he stressed. "According to information of our military experts, the tragedy (downing of the plane over the Mediterranean) happened due to an intentional action of Israeli pilots, which cannot but harm our relations," Peskov said. "And most importantly, it makes the Russian side take additional efficient measures to ensure security of our military in Syria," he explained. "With this in view, the decision was made that Defense Minister Shoigu has voiced today," he added. Peskov specifically emphasized, that according to conclusions of Russian military experts, "a chain of tragic coincidences" had led to the deaths of Russian military, but "moves by Israeli pilots contributed a lot" to the loss of the Russian aircraft. "This is indeed so. The data made public by our military experts is a rather eloquent testimony. The plane was not brought down by an Israeli missile, thank God," he added. Peskov said explanations from Israeli military had not convinced the Russian side. "Yes, we go by the information that our military experts have, and this [information] has been submitted to the Israeli side," the spokesman said. Peskov declined to say whether Russian-Israeli high-level contacts are planned. "We will inform if this happens," he said. Russian Defense Minister Sergei Shoigu said earlier on Monday that Syria’s air defense forces would be armed with S-300 air defense systems and that Russia’s radio-electronic warfare units will jam satellite navigation, onboard radars and communication systems of combat aircraft attacking targets in Syria. 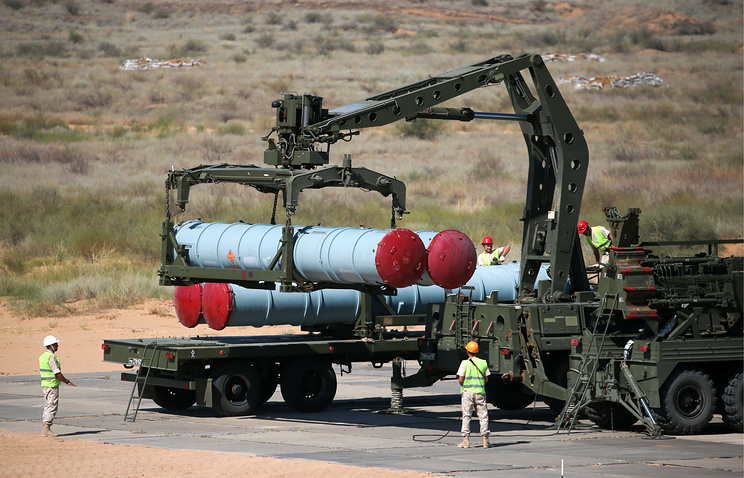 Also, he said that Russia would equip Syrian air defense command posts with automated control systems, previously supplied only to the Russian armed forces. Shoigu said it was one of the counter-measures to maintain security in Syria’s airspace after the loss of the Ilyushin-20 plane.